Carolyn Richardson spoke at NARIP’s How To Market & License Music For Film & TV on September 23 in Los Angeles, and provided these excellent tips. 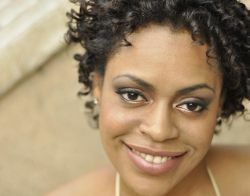 For program audio of Carolyn Richardson’s solo music supervisor session for NARIP, click here. It’s not about you. Find out what projects people you want to contact are working on and what they have been credited with in the past and use that as a means to get more information about what they are looking for and more importantly what they are not looking for. Know the show (company). If a music supervisor works certain shows, find out what recent placements were and use that as a way to narrow down what you submit. Know the artists. Contact artists and songwriters who have frequently been placed on certain shows and ask them for advice – you have lost nothing if they don’t respond. Know the boss and the assistant. As important as music supervisors like to be, we are at the mercy of directors and producers who have their ideas about what they want. Find out the power players for each show. Start with the composers if applicable, music editor, director, writer and producer and perhaps the marketing executive or promos editor. Knowing their names allows you to converse about what a music supervisor may be dealing with. Also do not forget that most music supervisors first point of contact with a new artist is from their assistant’s or people who work under them. Be nice and you may get a mention, be mean, and they may forget you exist. Know the work flow. Find out the taping schedule of major TV shows and films you seek placement on and track their status, by knowing when they are in pre-production, filming, and post-production, you can determine what kind of priorities a certain music supervisor may have. Think outside the box office. Face-to-face encounters still hold the most weight. Find a creative way to meet decision makers in their element. Become an expert on their scene and whereabouts and become a part of the community. There’s no such thing as good music. Depending on what I am looking for the best song I’ve heard in a decade could be bad music. Do not send specific songs that may be really good without tying them into specific emotions and experiences. Keep the details all in one place. Have every available version of a song in one folder, labeled properly with ID3 Tag info that includes the genre, lyrics, emotions the song evokes, as well as composers full names and PRO’s, publishing companies with contact info, master owner with contact info, splits, and in another place keep bios, headshots, contact information, and copies of each submission you’ve made. This is a music supervisors dream, get as close to making our dreams come true as humanly possible. Follow other songwriters. This is self-explanatory. Get on the email lists of artists who continually get placements, find out who manages them, who books them, and whether they are affiliated with any music consulting firms or lawyers. Their team could be yours. Be predictable, but only after your first few placements. Music supervisors like to put artists and songwriters in categories because it helps us do our job efficiently. If you can deliver music that has a similar style and message, chances are we can continually find a home for your music in a number of different projects. If you are all over the place musically and lyrically, then you become unreliable. Some directors like certain artists and when they ask for songs from you, they are basing their request on the last song they liked from you.